It’s always nice to find a new tool to play with when the procrastination monkeys start swinging from the rafters. Not that I’ve been idle – I finished the first draft of book two recently (more about that soon! ), so I’ve been taking some time out to read and to plot a short story, as well as some early planning for book three. …and this is one for my second book. 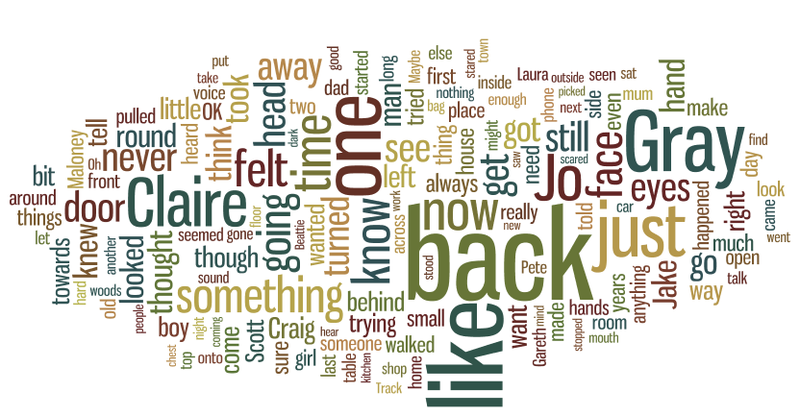 Comparing the two, the word ‘back’ seems quite important – which makes sense I think, as both novels deal with secrets and have characters who don’t want to look back – but unfortunately, they can’t avoid it. Also the words ‘one’ and ‘like’ feature heavily. I’ve no insights on that. However, I will have some news about book two soon, so stay tuned, Davie Gray fans! 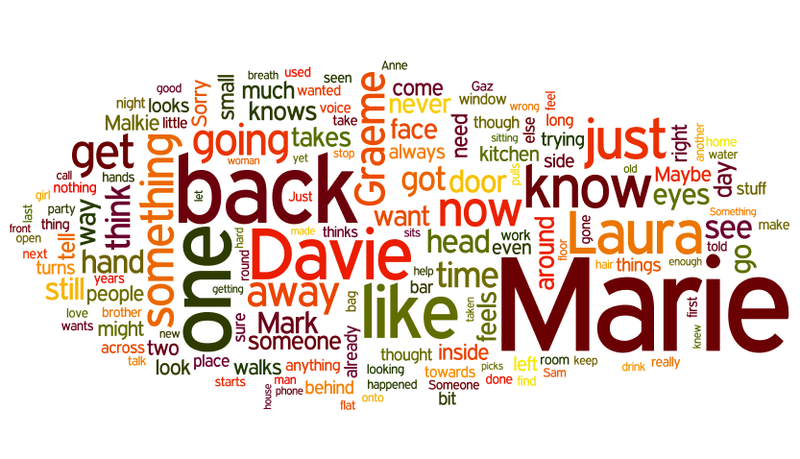 OMG, Wordle is a fab tool!